Fantasy Flight Games has announced a new, and pretty cool, tournament series for the X-Wing Miniatures Game. Do you think you have what it takes to be the best of the best of the best? Well grab your minis and prepare your squadron, as you have the chance to be flying against the greatest pilots in the world. 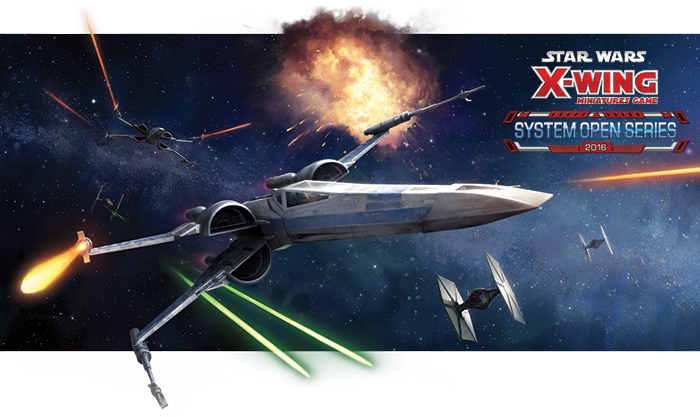 The X-Wing System Open Series is a worldwide tourney series that will take place all over the world starting in March and going through June. There are only 8 locations that will be holding events. Well, that's sort of a lie, there's a 9th location for the finals. You see, the winners of the 8 preliminaries will be flown to London for the 2016 Star Wars Celebration where they will compete for title of "Greatest Pilot in the World."